These fabulous earrings from Jackie Brazil are 5cm in diameter and are made with a hypoallergenic nickle free white metal post. 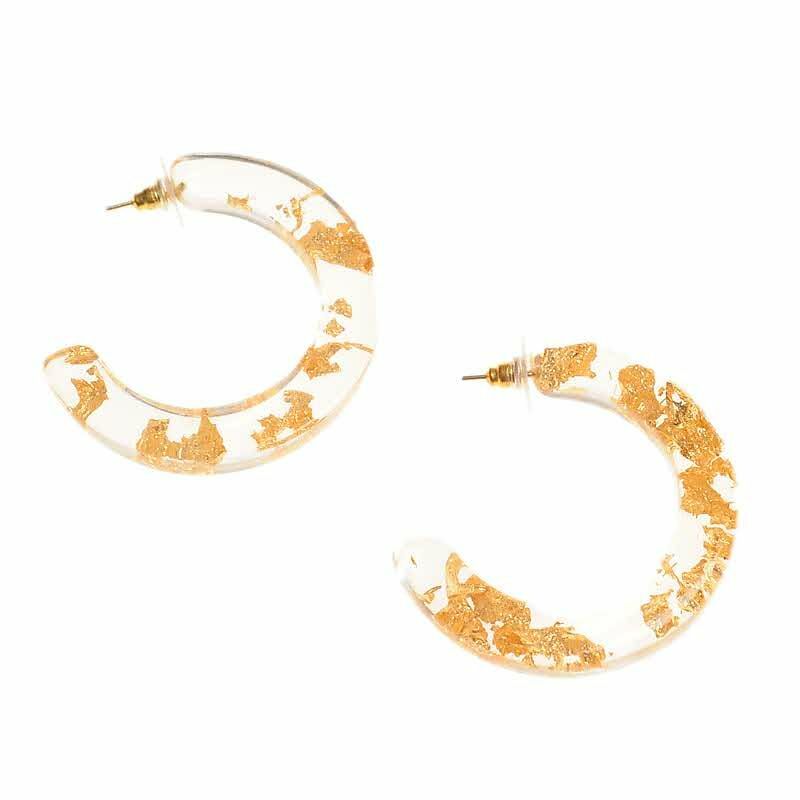 Handmade in Brazil with clear resin and metalic gold flakes encapsulated throughout. 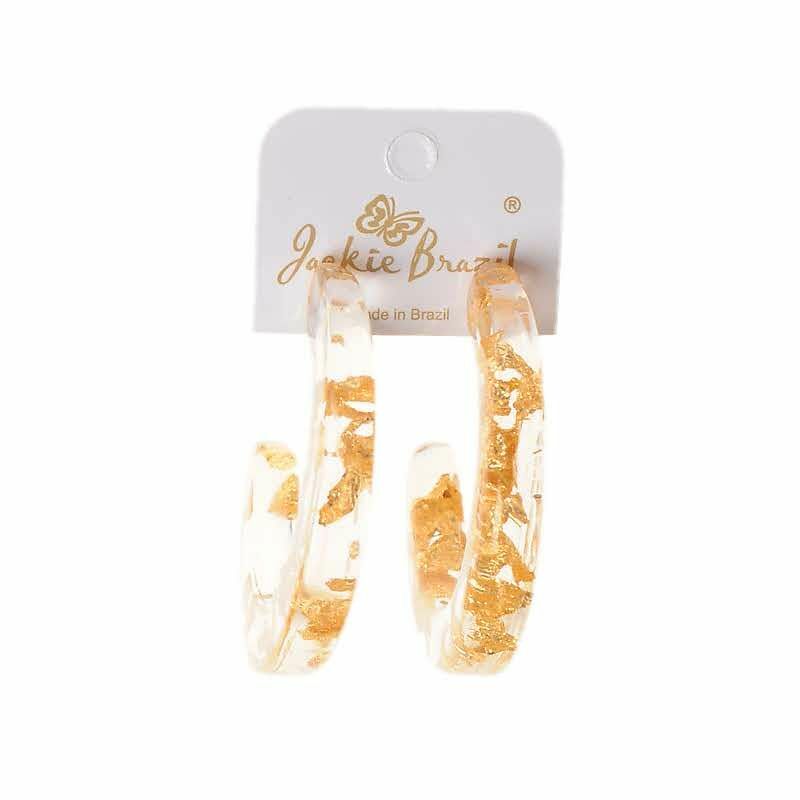 Most Jackie Brazil jewellery pieces are unique so we always list them seperately to unsure that you always receive the exact item you have ordered.